Most CEOs and top management of companies have heard of a study by Bain and Company that states that “a 5% increase in customer retention can increase a company’s profitability by up to 75%”. It’s no wonder that buzzwords Customer Experience (CX) Strategy, Customer Satisfaction and CX Improvements is thrown about a lot these days. In a challenging business environment of finite resources, knowing which customer touch point do you focus your limited resources on is one of the most important questions for you to answer. If questions like “which customer service point is causing this 25% churn in my business?”, “how do I increase the repeat purchase rate of my customers?” “what is causing my customers to churn?” or basically “where does my brand stand compared to my competitors on each customer satisfaction attribute?”, then, you are definitely due to a customer satisfaction study on your businesses’ multiple touch points to accurately diagnose and identify both symptoms and causes of customer churn in your customer funnel. The first step towards improving CX is to break down the customer journey and measuring each element. 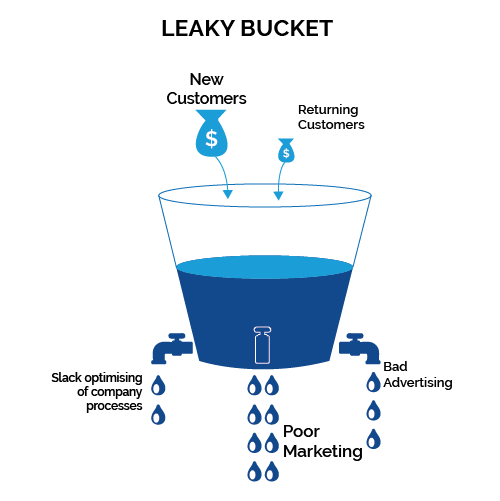 This is where CSAT comes in useful (if executed by professional market research companies), as the last thing you would ever want is a “leaky bucket” of a business. CSAT, on the other hand, measures a user’s/customer’s satisfaction with a product or service. 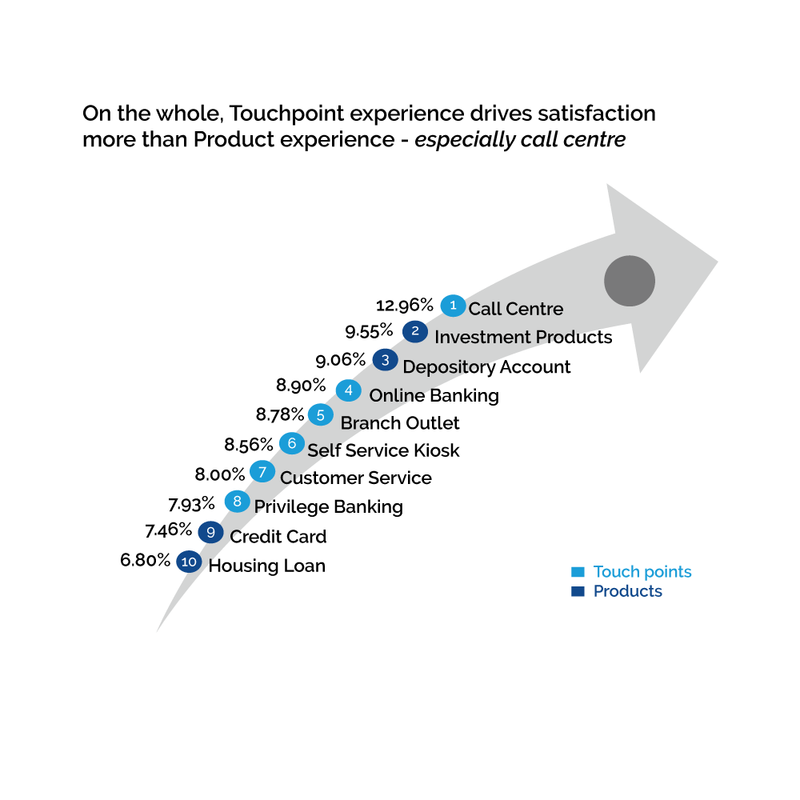 Which means how well a service or touch point correlates with their expectations. Using CSAT comes with a couple of key benefits. Firstly, a CSAT survey is better based on the “here and now” responses of customers/users. For example, as soon as they’ve interacted with the product or a particular touch point. NPS, on the other hand, focuses on a customer’s wider experience with a brand; thus, it may prove difficult to pinpoint where the specific channel pain points may be. When looking to see how different customer touch points differ from each other, CSAT is probably the better solution. CSAT does allow the CEO and the operations team to understand and measure specific attributes of a communication (e.g. time taken to connect to a service rep, was rep able to understand the issues you faced) as a CSAT survey will enable me to use more than 1 attribute to focus on these areas. The customer journey of the client’s organisation is laid out accurately to reflect a customer’s interactions with a client’s brand. A customer journey map is much like a customer persona. However, the focus is on the tasks and questions. It expresses the customer’s experience over time. This provides the Head of Operations a bird’s eye view of the customer’s interactions with each customer touchpoint. Our clients usually have a pretty clear picture of their customer journey. However, it is crucial for us to fully understand the customer journey so that we can accurately design relevant questions. The CSAT study sheds light on each of these touchpoints, thus, highlighting problematic areas in the customer journey that needs urgent attention, as well as highlights the touchpoints that are performing well to enable performance rewards to be greatly awarded. 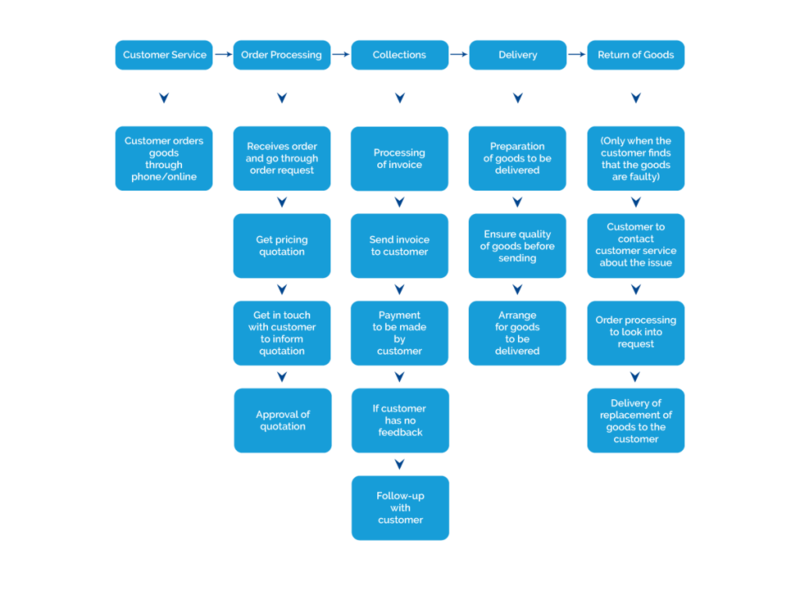 An example of the customer journey of a B2B distribution company. Designing a survey that surfaces the most important attributes of each customer touch point as well as underlying frustrations, well. We at Oppotus take great care in designing these questions. This is so to provide an accurate picture of the client’s performance concerning customer satisfaction. We usually start off the survey by determining that the customer has recently interacted with the client’s business. The usual standard for recency is three months. However, for specific sectors/categories, there are definite benefits of using different recency time frames for different touchpoints. The objective of this next question would be to determine the overall satisfaction of the customer with the client’s company/touchpoint. At Oppotus, we strongly recommend introducing a high level or overview type survey question early in the survey. Hence, we can get as pure a reflection of the customer’s perception of the client’s business as possible. An example of a situation would be if a customer is generally satisfied with the business, but had a bad interaction with the Return of Goods touchpoint. Thus, his customer’s satisfaction with the Return of Goods touch point may negatively affect the customer’s overall satisfaction score of the business. What we truly want is a customer’s pure emotional representation towards their overall experience with the business. Not anchoring their response towards a single touchpoint. The third part of the survey would be to garner feedback on customers’ satisfaction across all the touch points in which they have recently interacted with the client. Questions are split into two main parts: (a) a high-level satisfaction scoring on a touchpoint and (b) rating a customer’s satisfaction with sub-touchpoints (also known as touchpoint attributes). These will facilitate CEOs, Heads of Operations and consultants to perform derived analyses which would then derive precise recommendations for directions of improvement that will be both effective and cost friendly. We wouldn’t want to blow millions on a problem that doesn’t exist now, would we? We are also cautious with biases at this stage. To reduce bias at the sub-attribute level, we also take care to randomise the order of sub-attributes. Below is an example of a question asked to rank a customer’s satisfaction with the Customer Service touchpoint. Clients who want to an edge over the competition in this day and age of business need to continually maintain high levels of customer satisfaction with every single customer touch point that matters in their business.The result of the CSAT is an essential component to strategically inform technology investments in increasing automation rates at particular touchpoints, rationalising huge investments in AI or machine learning, human resource decision to bolster workforce at particular touchpoints or even human resource remuneration decisions. The Satisfaction Drivers chart informs our clients on the customer touchpoints that should be given the highest levels of priority, care, and where tolerance for incompetence should be kept at a minimum. In this particular company, focus on improving and maintaining high standards for Call Centre operations should be prioritised above the other customer satisfaction touchpoints, while Investment and Depository Account products are what drives the brand’s overall impression towards customers. The percentages can also identify any over-investment or under-investment of resources into the customer touchpoints. For example, betting the farm on improving the Housing Loan vertical will be an extremely unwise move according to this CSAT study. Next, data is then analysed and segmented into a matrix that helps CEOs and Operations evaluate and prioritise each customer touchpoint and sub-touchpoints. Moving on from the previous example, this matrix clearly shows each touchpoint and product’s performance and importance. 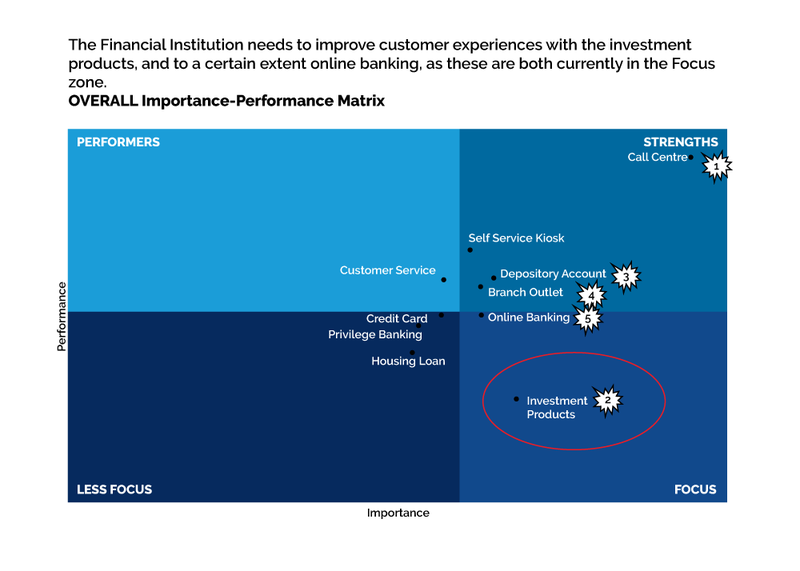 So, for this financial institution, resources can improve its investment products and, to a certain extent, it’s online banking customer touchpoint as performance in these areas are lacking. Call Center is an essential satisfaction driver and the company illustrated is doing relatively well in maintaining high performance at it’s Call Centre operations. 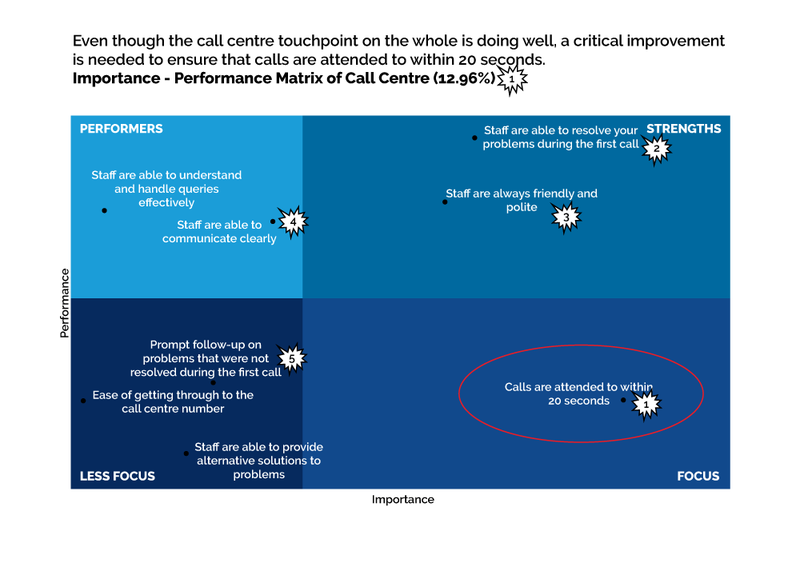 So, let’s dive deeper to see how the Call Centre performing in its sub-touchpoints. This matrix would inform top management that the staff are performing relatively well in that they are knowledgeable and friendly. However, response times are a problem as calls are not attended to within 20 seconds, which causes the customers to wait on the line for a prolonged period of time. Thus, top management could place focus on either increasing manpower at the call centres while maintaining a high quality of service, or investment in a certain amount of automation to reduce loan on the call centres. Overall, regularly running a proper CSAT study should be of a continuous improvement strategy to improve customer experience. Any company that strives to be competitive in today’s competitive business environment should adopt this approach. Besides, social media fully enable customers and where subpar customer treatment regularly goes viral. At Oppotus, one of the leading local market research companies, our unique M2M (Macro-to-Micro) approach to CSAT will provide your company with the insights you need to fuel your CX Strategy and improvement initiatives.